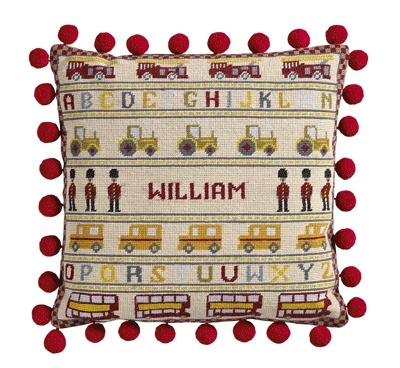 A wonderful sampler for a boy's room with fire engines, tractors, cars and buses - and a few soldiers too! The kit contains 12hpi printed canvas, tapestry wool, needle and full instructions. The design measures 16" x 14¾" (40 x 37cm) .